JIBO, the first robot intended for the home, will go on sale in winter 2015. Before getting into the meat of this article, let’s look at the introductory video. Jibo definitely looks awesome, perhaps even a glimpse of the future we thought we’d have when watching Back to the Future in the 1980s. Now that we are finally arrived to an age where a small, companion-like R2D2 is a practical reality there is a pressing question here: is it safe? The glaring concern about having a robot that can interconnect throughout your house, learn how to communicate with you and have a degree of autonomy raises concerns in a world where privacy issues are a hot topic. 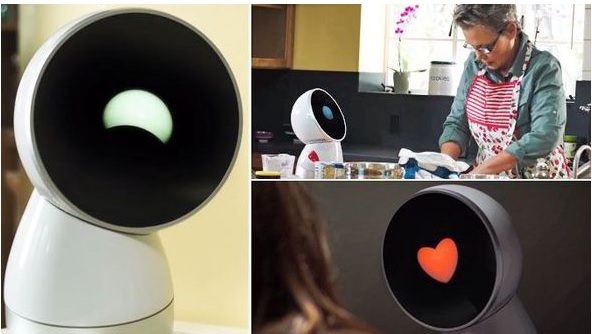 It seems some factions of government believe spying on private citizens is a fun thing, so it may be tempting for them to resist hacking into your Jibo robot’s programming to get a close, intimate look in your day-to-day life. “Thanks, but no thanks, Obama!” some may say, but then again, how many of you are reading this article right now from your home computer? Or perhaps from your smartphone? We have to accept that we do live in the communications age. The newest phones are activated by saying, “Hello, Galaxy” and then can proceed to give you directions to a restaurant, research and tell your lyrics to a song and help you plan your day. The phones get to know your vocal patterns and voice inflections, so they may more accurately communicate with you. While such leaps in technology seem impressive to us, for kids growing up in the new generation, it is nothing so crazy or out of the norm. Having interactive devices that communicate with them and help them find research, entertainment and companionship is the norm. Jibo will essentially be their Apple IIe. They will grow up and tell their kids about the first ‘old, cute robot that kept me company’. This social robot is the next evolution of our communication technology. Having a smart, centralized unit of the family home that can organize tasks, see about individual family members and interconnect home life to outside life is something we may fear at first, but it is something that will progress and become a normal part of life. Instead of fearing change, we should embrace it. And we should light fire to the feet of those who would corrupt the technology by trying to use it to spy on us. But in the end, it is the consumer and the mighty dollar who will decide the fate and speed of development of this new technology. Will your home be among the first to have the new Jibo? Mine will and I cannot wait to do a product review on it in the winter of 2015.